A well-functioning sump pump is one of the most important ways to keep your basement dry all year long. It works hard to prevent water from storms or other water damage from flooding your home by detecting when water could threaten your basement and pumping it out before it gets to the floor level. However, without regular sump pump cleaning and inspection, malfunctions can occur that prevent it from operating as it should. To make sure your sump pump is working well, the following sump pump maintenance checklist will help you detect any issues. Here are some sump pump tips to keep in mind. If your sump pump begins to lean, it will shift the water in the pit and put pressure on its components. To prevent this from happening, check your sump pump to make sure it is sitting on even, solid ground. A blocked or frozen drain hose will not function as well as it should to keep the drain clear and operational. Make sure the drain hose is clear of debris and working well so that you can properly dispose of the water. The sump pump float controls when it needs to activate and pump the excess water out. If the float component is blocked or unable to move freely, it can cause a malfunction and run when it doesn’t need to. This waste of energy can burn out its engine and cause it to fail when you need it most. The discharge pipe of your sump pump needs to be far enough away from your home, so it doesn’t leak back around your home’s foundation. A simple way to check this is to go outside and look to see where the water is draining out. If it seems the discharge pipe is spreading water too close to your home, it can seep back into the pump, causing it to run without shutting off. This can also burn out the pump engine and lead to more serious repairs. Keep in mind that your discharge pipe still needs to be on your property, even if you move it further away from your home, shed, or garage. Fill the pit with water until your pump activates. See how well it gets rid of the water, and check your discharge pipe outside to make sure the water is being drained away from your home. If the pump doesn’t activate at all, or the water is not coming out of the discharge pipe, something may be wrong. Also be sure it is plugged in and that the power cord is working. You should check the power cord of your sump pump every three to four months to make sure it is connected to power. Many times, the sump pump begins to malfunction after a heavy storm that causes a power outage. In this case, a power backup is vital to keep it working. Power outages cause the pump to cease and can cause serious problems like basement flooding. A backup generator will give the pump the power it needs to keep running and prevent this stormwater from entering your home. Without proper inspection and maintenance, the sump pump can begin to produce a foul odour. Odours usually come from the sump pump trap, which contains some water. When this water stops flowing to the basin during dry seasons, it begins to smell bad. A simple bleach-water solution can cleanse the basin to get rid of the smell and cycle out this bad water. The small filter known as the impeller can easily get clogged by debris. 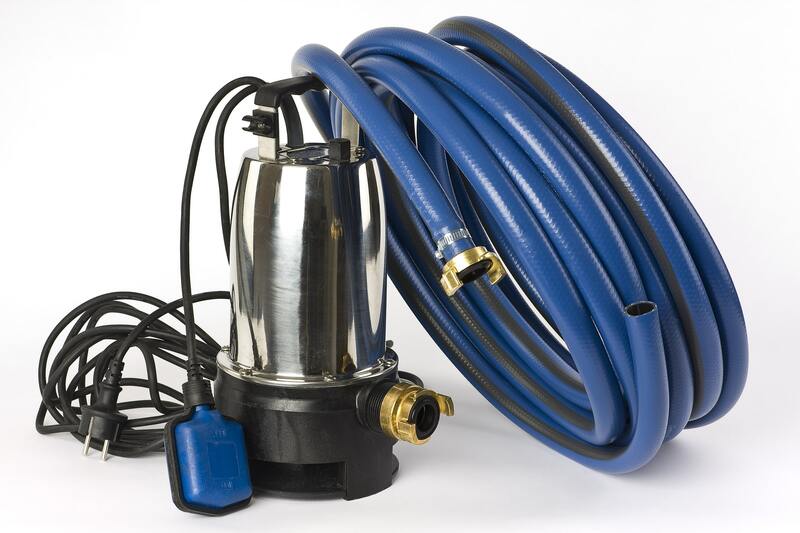 By bolting it to the sump pump and cleaning it regularly, you can prevent it from getting clogged. A sign of a clogged impeller is if it makes a whining noise or stops running completely. Especially during spring thaw and autumn, you should check to make sure your sump pump pit is free of debris. If stems, leaves, debris, dirt, and even children’s small toys get into the basin, they can cause a blockage leading to a failed sump pump. Once a year, you should have your sump pump serviced. Although it adds an upfront cost to your budget, it is far less expensive than dealing with the cleanup after a failed sump pump issue. The service team will ensure all the parts in the motor are lubricated and functioning well, and they will check the electrical connections for damage and repair them. A sump pump failure can do a lot of damage to your basement, which is why maintenance is key. 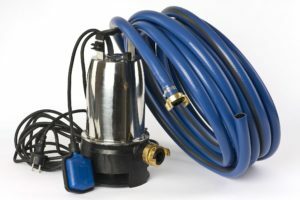 Testing the sump pump and ensuring you have a backup pump are the simplest places to begin, but what if it malfunctions? There’s no time to waste when you realize your pump is not working its best. In this case, you should contact the professionals to do a more thorough inspection and repair any damage that may have already been caused. If you need help with water damage cleanup in Toronto after a sump pump failure, Flood Services Canada can help you. Our professionals can provide you with a variety of solutions, and we can help you settle with your insurance company to get your life back to normal as soon as possible. We deploy our quick-response teams across the GTA to help homeowners save their property in emergency situations. We provide 24/7 sewage, water damage, and food cleanup services and will use the best techniques, personnel, and equipment to ensure your home is clean, safe, and dry as soon as possible. Contact us at (416) 302-2107 to learn more about our services, or use our emergency hotline at (416) 999-3930 to get our rapid-response teams deployed to your location.